If you’re taking a medical trip this year, it’s never too early to start planning! Preparing to travel for a medical procedure entails way more than just packing clothes. This month we will shine the spotlight on what you need to bring when you travel of IVF treatments, some items need more planning than others. 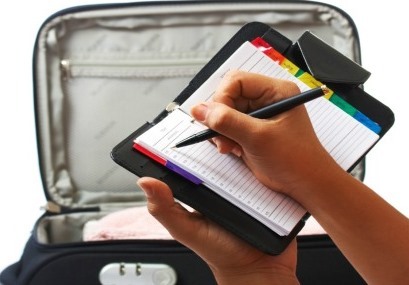 Prepare your things ahead to minimize the risk of leaving something important behind. Travel Insurance. It can protect you from unexpected events such as delayed or cancelled flights, lost baggage, theft, and hurricanes among others. Though travel insurance adds up to the cost, it’s worth the spending being protected during your trip. Medical tourism Insurance. Apart from travel insurance, this helps protect you from unforeseen medical problems. Although practitioners are certified and licensed, most overseas patients still get their medical tourism insurance for added protection and safety. Packing. Depending on the weather in your destination. Depending on where you’re traveling, prepare clothing, accessories, and other body essentials needed to ensure comfort and convenience abroad. If it’s a warm destination like the Bahamas, you can think of packing sandals, shorts, comfortable and light clothes, and sunscreen. Travel Information. Make sure that you have a written agreement with the health care facility or the group arranging the trip, defining what treatments, supplies, and care are covered by the costs of the trip. Travel arrangements. Flights information, transportation to and from airport and accommodations. Make sure all arrangements are confirmed before you leave home. Extras. You can also pack extras such as glasses, photocopies of medical documents, and medications you need. Basically, these are things you need to travel for medical treatment overseas. Returning home and recovery plan. Returning home can be a daunting prospect, as you will no longer be in the care of your medical provider. However, they will advise you on any medication you may need to take, and any exercises you may need to do to aid the recovery process. Make sure you book an appointment with your doctor to inform them of your procedure and any issues they need to be aware of, for example prescribing medication or seeking physical therapy. Your provider should give you all the necessary paper work to inform your doctor of any medical needs. These are just a few simple steps that will help you to get started when planning your trip abroad. Remember that individual needs will vary depending on the patient, type of procedure and medical provider. Do not be afraid to ask any questions – both to your GP and medical provider – regardless of how insignificant they may seem. It is more important to be completely happy and prepared when booking your treatment and trip. Plan Ahead. Certain times of the year and particular medical practices and doctors can become extremely busy. To get the best deals and ensure your treatment is available at a time to suit you, make sure you plan your trip well in advance. Research. It is essential you have done all of your research before leaving for treatment overseas. This includes researching your treatment options, doctors, clinics and the location you’re traveling to. Confirm Everything in Writing. You need to ensure you have a hard copy all of your documentation from your medical provider before travelling. This includes the signing of any contracts, cost estimates, appointments, recommendations, travel documentation, accommodation bookings. It is acceptable to use email as a way of keeping hold of records, but it is worth printing these before you leave so that you will always have a hard copy. Insist on English. While you must always respect any different country or culture, going abroad for medical tourism can be complicated, and it is essential that you understand everything that is involved with your medical tourism trip. This includes reading through contracts, treatment and discussing options with your specialist, among others. However, don’t be afraid to try and pick up some basic local language, as it is always appreciated. Learn About your Destination. It is important that you have a decent understanding of where you are going. Make sure to add to add days for some personal time during your visit, you may want to go out on day trips or explore the area. It is also a good idea to try and pick up a few local phrases such as “hello”, “thank-you” and “how much”. A little will go a long way, and local residents will always appreciate the effort. Inform your Local Doctor. This is imperative. You must inform your local GP or doctor before travelling abroad for any procedures. They will be able to provide any necessary paperwork for your overseas carrier, as well as advise you on suitable treatments. Although they may not necessarily agree with you going abroad for treatment, they still need to be informed of any big decisions involving your health. They may well need to provide prescriptions or help you in your recovery once you have returned home, and it is important to keep them in the loop.